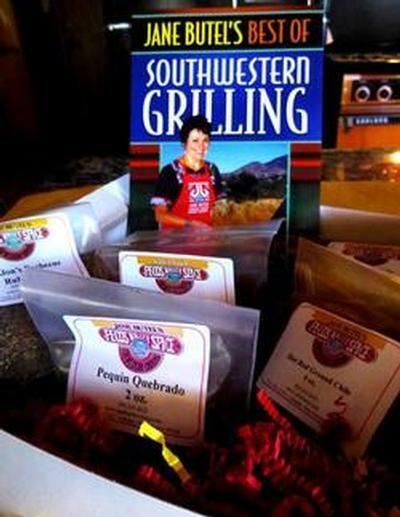 Enjoy our great selection of Gourmet Gift Boxes. 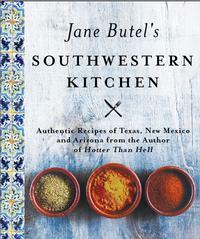 Most of these kits include a Jane Butel autographed cookbook and make a delightful gift for just about anyone who enjoys food! 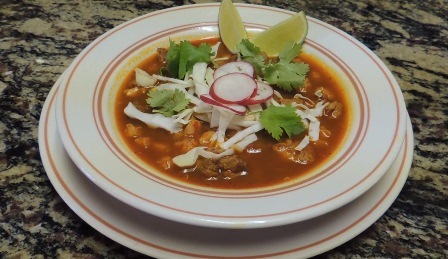 Steaming bowls of cumin scented, rich, red bubbling brew topped off with Fixin's 'n Mixin's of chopped onions, pickled jalapenos, coarsely grated cheeses and sour cream with lime wedges couldn't be better for the chili lover in your life or for you! This new edition of Chili Madness contains recipes for many more types of chilis, appetizers to desserts. Even vegetarians will be pleased with the more than five delicious chili recipes. This is the ultimate chili lovers' special. There is enough chili and seasonings to make at least 100 bowls of your favorite chilis. Eating Chiles 24 out of 30 days will make you much healthier, extend your life, make you slimmer and add much more fun to your life. With this gift set, "what a way to go"! The beautifully illustrated hardbound cookbook guides you through over 100 quick and easy to make recipes with nutrition breakdowns. You'll savor such specialties as Aztec Pork Chops, Chile Seared Salmon with Sweet Pear, Pineapple Salsa and Pollo Rellenos with Salsa Fresca. And for dessert—try the 80 calorie fudgy brownies or the Spicy Hot Chocolate Mousse. This is the ultimate Super Bowl Party Special—even if you make the chili, beans and cornbread for yourself—the chili will freeze successfully for many months—up to a year. Dining al fresco, whether in crisp cold weather while enjoying outdoor sports, hiking or ice skating on your favorite pond or creek, there is nothing better than yummy, spicy foods such as a Quickie Tamale Pie, Cumin Chicken Chimis or a rich, thick bubbling pot of Pueblo Indian Corn and Pumpkin Stew. 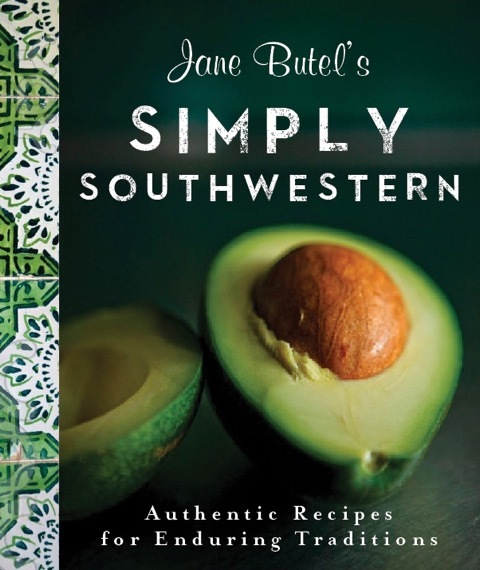 Each of these recipes can be made in 20 minutes or less with an average of 5 ingredients—all from Jane Butel's Quick 'n Easy Southwestern Cookbook. 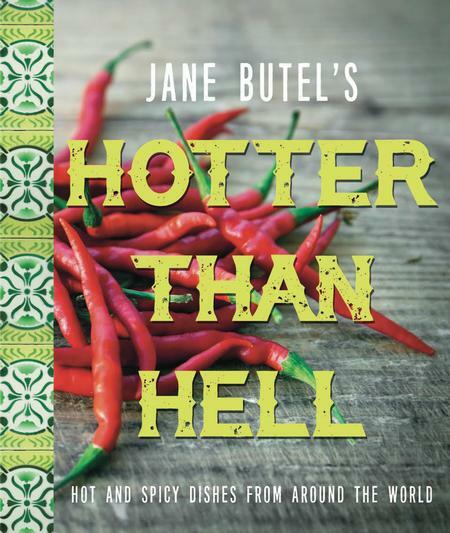 There is enough spice here to create tons of confections to suit even the most daring spicy food lover. 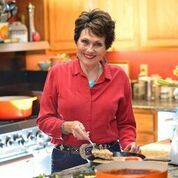 This cookbook contains all the recipes from Jane's famous Fairmont Princess Cooking School in Scottsdale, AZ which was rated as the best hotel based cooking school in America and one of the ten best in the world every year it operated. 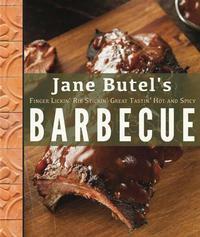 The recipes have all been clearly written so they will be easy to follow. 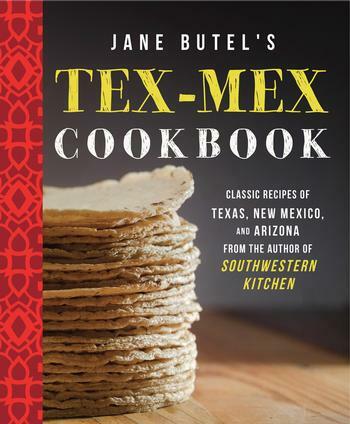 All the recipes feature easy to find ingrediens and has recipes for such famous dishes as Traditional Oaxacan Moles, Chiles en Nogada, Tres Leches Cake and many, many more yummy specialties.